There has never been worldwide surveillance of air traffic until now. Large areas over the Atlantic and the Pacific Ocean has been un-surveilled. In fact, 70 percent of the air traffic over the Globe relied on the aircraft reporting their positions to air traffic control with 10 to 15 minutes intervals for traffic control and separation. This has forced large separation distances and the organization of the air traffic in in-efficient air corridors for these areas, where aircraft can’t overtake when faster or change altitude when needed to optimize fuel consumption. We were lastly reminded of the large un-surveilled areas of the World when Malasia Air MH370 went missing without anyone knowing where it went. ADS-B (Automatic Dependent Surveillance Broadcast), the system where all aircraft send out their position, altitude and speed each second, will be mandatory for practically all aircraft in US Airspace within eight months. This means each aircraft reports where it is and where it’s going every second, for any who wants to know. But the systems receiving these signals for Air Traffic Control have so far been ground-based. Coverage has been limited by the curvature of earth. Aireon’s space-based ADS-B system now provides real-time air traffic surveillance and tracking of 100 percent of ADS-B equipped aircraft, worldwide. Improved visibility and control over previously un-surveilled airspace—especially across oceanic regions—will allow airlines to fly routes at optimal speeds and levels. An analysis conducted by NATS and the International Civil Aviation Organization (ICAO) has concluded this will deliver cost savings of up to US$300 per transatlantic flight, plus reducing carbon dioxide emissions by two tonnes per flight. “To know the position, speed and altitude of every ADS-B equipped aircraft in oceanic airspace – in real-time – is a transformational change to how our controllers manage air traffic,” said Neil Wilson, president and CEO of NAV CANADA. “The separation can be cut from 40nm to 14nm”. As described in our first article about the ET302 crash, FlightRadar24 had limited coverage of the flight path of ET302. Only when Aireon provided the crash investigators with its Sattelite received ADS-B data from the flight could the complete flight trajectory be analyzed with real-time high-quality data. It could then be seen the ET302 showed the same roller-coaster pitch trajectory for the beginning and end of the flight as Lion Air JT610. This was one key puzzle piece in the the grounding of the 737 MAX. Question: are ADS-B transceivers on airliners generally controllable from the cockpit? I’m thinking of MH370. If the ADS-B transceiver could be readily switched off, a pilot with bad intentions would simply switch it off. It’s going to be interesting to see how it goes. Most space systems such as Iridium struggle to land a killer application. Comms alone just isn’t enough, seemingly. Iridium and its partners have identified a good “secondary” use for their shiny new constellation. If it results in closer separations on trans-oceanic routes it will become indispensible to the aviation industry. And that means they can charge enough money to make a good profit from a monied customer base. Iridium is a mesh network too; that’s a good architecture for a resilient service. Good luck to them; the world just became a better place. See my post following post on subject, but objective evidence cited by the 2015 DSTG report and the automated response of MH370’s SDU controller in response to an incoming SAT phone call at 18:39 UTC disprove that MH370 pilots deliberately cut communications. Is any US air traffic control organization involved with the project? And will Flightradar24 have access to the data, considering that Flightaware is involved with the project? Roughly what fraction of aircraft worldwide have ADS-B currently? Hopefully other countries follow suit with the US and make it mandatory in their airspaces. Pretty much all international flights operating above FL290 have to have ACARS capability, thus likely 95% + have ADS-B. Perhaps war torn parts of Africa may lack ADS-B ground station coverage but that is just a guess. Aireon’s system requires satellite coverage not ground based. I don’t know the number but Europe follows for in June 2020 for aircraft in controlled airspace, Australia has a mandate for all aircraft flying above FL300, etc. For other countries, it varies. But all aircraft who wants to fly to and from US, Europe and Australia will need it. It will mean all aircraft but the smallest GA aircraft will have it. And cost or installation problems is no longer an issue. Innovation has had its way and there is an integrated ADS-B unit with GPS etc which replaces a NAV light on a GA aircraft, skyBeacon costing $1850. 1. Would anyone survail and track aircraft in the South Indian Ocean and who would to it? 2. Can the system be turned off? (I think I know the answer to that one) and or can it be put on a different channel? 3. Other areas such as the S. Atlantic for the same and who controls the airspace to coordinate or do they avoid each other TCAS wise? Aireon’s new system would not have tracked MH370, because I refer to the DSTG draft report “Bayesian Methods in the Search for MH370, 03 December 2015, page 6. At 18:03.26 UTC Malaysian Airlines Ops centre sent a message instructing crew to contact Vietnamese ATC immediately. INMARSAT’s downlink message signal reply advised the ADS-B message could not be connected. This was much like those emails one gets to say your email couldn’t be delivered because no server could be located at the other end. Effectively MH370 was electronically dead. During this black-out phase there was no power provided to MH370, except for that available through the AC Standby Bus relay, either drawn from RAT deployment or through a TRU from the Left DC back up generator. The most recent example of this was on a LATAM B777 flight LA8084 in December 2018, when a generator failure tripped out every electrical system (including cabin pressurization) during an ELMS shut down. With MH370 for every two minutes from 18:03 to 18:45 UTC the ADS-B signal sent by the airline repeated automatically without success. However at 18:25 UTC MH370’s SDU sent a log on request to INMARSAT. Communications until the final satellite ping contained no navigation data, implying there was still no electrical power to the AIMS cabinet which normally provides higher functions and signal content. By implication, the crew suffered a hypoxic event following massive electrical failure. This response at 18.39 UTC disproves pilots switched off power on MH370. No pilot could mimic voltage irregularity in the SDU’s response. It would be interesting to know what became of ADS-B contact with LATAM flight LA8084 in the same situation? How would Aireon’s new system stay connected to a Boeing 777 blacked out by ELMS? Is Aireon’s ADS-B system accorded a new priority ranking by ELMS to keep it powered or is it now hard wired to the AC Standby Bus Relay or to the RAT? If the answer is no then Aireon’s system offers no solution. So to summarise the hypothesis, 1) the aircraft had a widespread electrical failure (indicated by the externally observable behaviour of the satcom system), 2) that blackout took out the ADS-B system too. That would certainly support a view that the current design of ADS-B implementations on airliners is not always going to allow us to follow an aircraft no matter what technical difficulties the aircraft is experiencing. 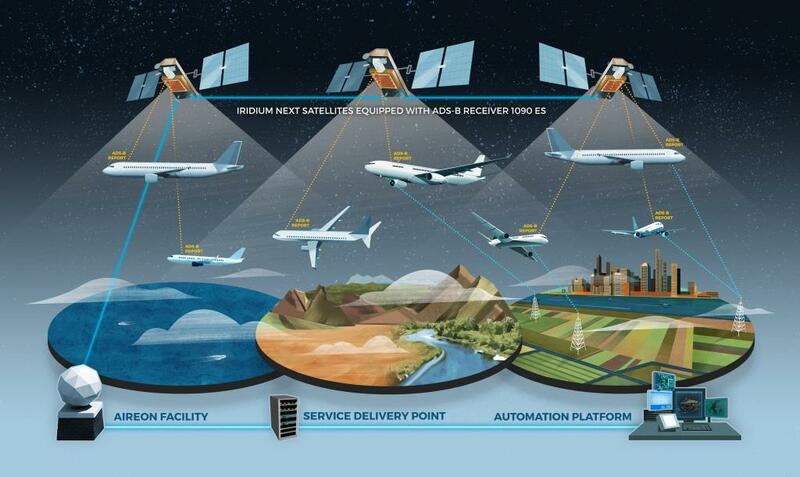 It’ll be interesting to see how the certification bodies treat ADS-B going forward. With the presence of the Aireon system it might make sense to insist that an airliner’s ADS-B system is largely independent of the major part of an aircraft’s systems. However, even as things are, it might serve a purpose in an MH370-type scenario. If we become used to having a regular stream of ADS-B from all airliners globally, the cessation of that stream for one aircraft ought to act as some kind of alert, sort of like “that aircaft has suddenly got a really big problem”. That, plus silence from the crew too, would make it easier to prioritise assistance from the local airforce to go take a look whilst it still within range of primary radar. But surely the information would be available till much much later in flight than the radar tracks in the Malaya- Sumatra area. Which meant no one really knew whether it went north or south for some time and then the general area in the South Indian ocean wasnt known at all. I was thinking more generally, of how it might change the response to a suddenly incommunicado aircraft by those on the ground. Radio silence is one thing, but an unexpected data silence too would make a big difference to how those on the ground perceive an ongoing situation. I’ve no idea how that could have altered how MH370 would have been responded to. For those taking this serious, Simon is well known for his views on this subject and there has never been any backup for his opinion. I have seen experts in the 777 electrical system refute it point by point. Its not worth an effort as he has an agenda and no facts will deter him from it. My comment prior was that ADS-B can be turned off most likely (99.999% likely) and it does not avert what occurred on MH370 which was selective power removal from tracking systems. What the person who removed the power selectivity from two separate systems did not know was that they had not killed the router response on the (and as the check in is sent every 30 minutes and it can be missed for various reasons but did provide tracking of sorts. Tracking put it in the South Indian ocean and recovered debris confirm that. Unfortunately its very gross tacking with a lot of inference needed (guesses) and the guesses never were close enough to find it. 14 nanometres is an awfully short distance for the separation between two aeroplanes in the air. I don’t see how this can work. I hope that is in jest?